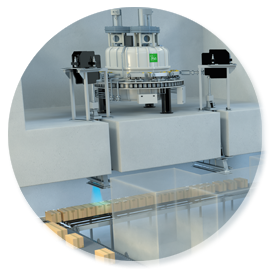 E-beam is the most efficient technology for low density products packaged in boxes. X-ray offers unmatched treatment quality with reduced overdosing compared with any other radiation technology. It is also the ideal alternative to gamma irradiation. 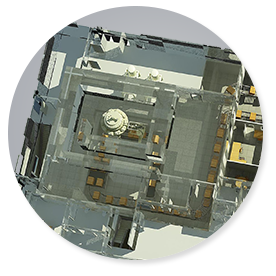 The Duo allows benefiting from the high efficiency and short payback period of 10 MeV E-beam with the possibility to offer 7 MeV X-ray radiation services. 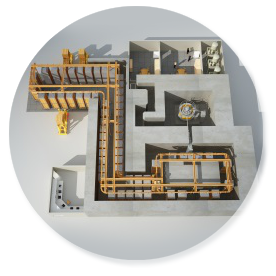 Acquisition and operational costs are compressed to a minimum with this concept using one accelerator and one conveyor.